Spice up the party with a 2-games-in-1 Go! 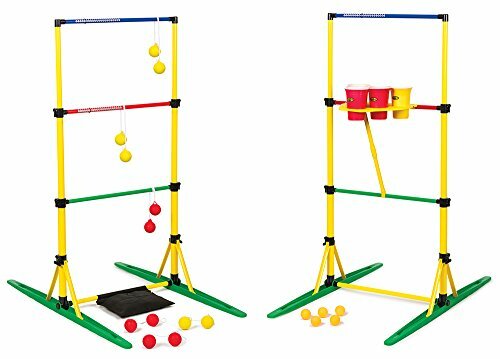 Gater Ladderball and Party Pong Set! Whether you're in the mood for tossing bolos or balls, this set will bring you hours of entertainment. The target ladder is ready to go for ladderball, then when you're in the mood for party pong simply attach the party pong platform to the rungs of the ladder target! The all-weather, anywhere construction will endure any conditions and the Mobilize & Organize design lets you fold up and go whenever, wherever the party is! Your family and friends will enjoy a variety of summer fun with this 2-in-1 game set. It's also ideal for tailgating, camping, and the backyard! Test your aim with either game!